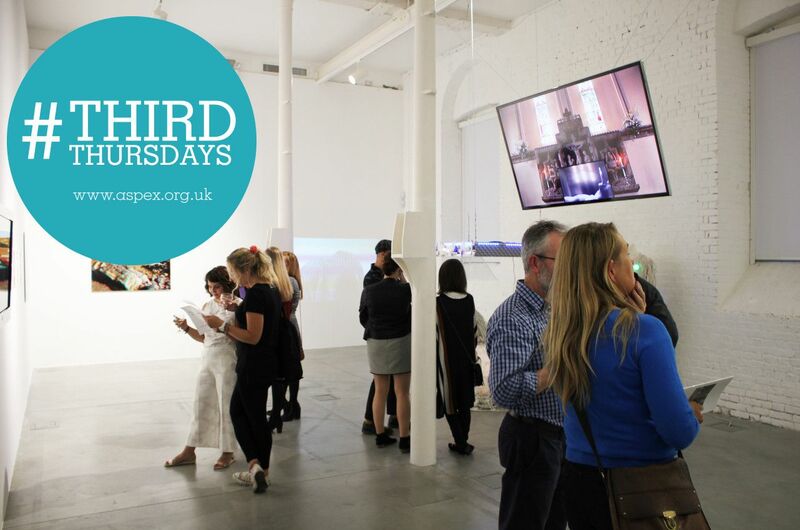 On the third Thursday of every month, Aspex Gallery in Gunwharf Quays will be open until 8pm! These extended opening hours will give visitors the opportunity to browse Aspex’s bespoke craft shop, containing unique cards, jewellery, prints and gifts from local artists and makers! On top of this, a range of artist's talks and after-school activities will be available. Aspex’s three gallery spaces will be open to the public, continuing to provide international and local contemporary art to residents and visitors to Portsmouth. #ThirdThursdays will coincide with a new “Supper Club” launched by their award-winning café partners, Lily & Lime LD. These monthly dining experiences will begin in mid-October, with a unique theme selected for each event. Booking will be made available via Lily & Lime LD’s Eventbrite page. Aspex’s regular hours are Wednesday – Sunday, 11am – 4pm. For information on upcoming events, exhibitions and workshops, please visit the gallery’s website. A chance to be given a first-hand tour of Aspex’s new exhibition, Platform 2016 - a showcase of graduate artwork from University's across the South Coast. An opportunity for kids to try out Aspex's new Arts Award booklet -- a series of artistic activities created by ARMA artist-in-residence Alison Carlier! An engaging drop-in activity inspired by Aspex’s nautical Craft Space exhibition, featuring local artists and makers! An opportunity to hear about the artistic process of artist Alison Carlier, who will explain her new piece of artwork, produced for Aspex. For events, talks and activities provided by Aspex there is no need to book - simply turn up at the time listed. Aspex has a 35-year track record of supporting emerging artists and engaging audiences, through the delivery of a programme of exhibitions, off-site projects and participatory opportunities. Artists such as Mona Hatoum, Richard Wilson and Susan Collis, all internationally acclaimed, received support from Aspex at an early point in their careers. This work has continued with projects including Craft Emergency, an open submission biennial exhibition, offering key opportunities for artist exposure and professional development for designer/makers since its development in 2013.